Advocates for the Aging, Inc., of Melbourne, Florida, offers a full range of personal care and elderly assessment services that ensure clients are happy and healthy. Nothing is more important to us than providing quality and comprehensive care for community elders. Our team monitors the psychological, emotional, medical, social, and financial needs of the clients, ensuring all their personal needs are being met. Additionally, we attend medical appointments and arrange follow-up as needed. You can rely on us to ensure the proper resources are being utilized to promote our client's health, safety, and well-being. Case management services include acting as a liaison between medical personnel, facilities, and families. We fill and maintain medication dispening boxes, facilitate refills with the pharmacy. Visit in the home and evaluate the on going and ever changing needs of a loved one. We are the "heels and boots on the ground" for the family members who may not live locally, require an extra layer of care monitoring and/or need medical experts to guide them through the maze of an aging loved one! If a loved one has had a change in condition or required immediate care, our team can intervene and assure the proper resources are in place. We follow consultations, provide support, and ensure follow-up services are in place for clients and their families during a time of crisis. We also provide specific assistance for family members which are are out of town, acting as a liaison between family and clinical staff. We assist in safeguarding the client's assets by utilizing targeted resources to preserve financial security. We offer bill paying services to aid the client in maintaining as much independence as possible. We review invoices to confirm accuracy, evaluate Explanation of Benefit documents and compare to medical invoices billed to the client, and coordinate an audit to assure home insurance and health insurance are up to date, and property taxes are curent. Guardianship is the option of last resort when evaluating a person's needs. Guardians take responsibility for a person when the court has determined that an individual lacks the capacity for or is incapable of managing their own affairs. A professional guardian is utilized for several reasons: 1 - A vulnerable person does not have designated representative to facilitate their needs as they age. 2 - A person is abused, neglected, exploited or abandoned by a stranger, family member, friend, or caregiver. 3 - There is family discord and a decision is made to appoint a neutral party. 4 - A family member may not have the capability of caring for their loved one due to their own illness, proximity to their loved one, etc. All guardians are monitored by the Clerk of Courts in their District and are required to submit annual accountings and care plans related to the Ward. 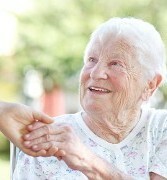 We provide professional medical and environmental evaluations for the elderly. Our goal is to establish a secure plan of care, addressing priorities and personal needs to maintain a healthy environment. Depending on the situation, we provide recommendations needed in the home in order for the client to remain in their home or, if placement is required, what to look for when choosing a place for a client's aging needs. We work collaboratively with a network of peers, physicians, specialty providers, and ancillary services to ensure the safety and health of the elderly. Using an open communication model, we help with everything from attending medical appointments to arranging follow-up services as ordered, and providing appropriate recources as recommended. Our property managment team offers multiple service options to ensure real and personal property are adequately maintained while under our service. we conduct monthly, or as needed, property checks of the permeter and interior fo the home. Regular maintenance is scheduled, monitored and completed (examples: changing filters, ensuring lawncare and pool services are occuring, air conditioner and sprinkler systems are in working order, etc.). We ensure all homes are prepared for hurricane season. If at anytime contractors are required, our team coordinates the services and ensures a reputable, licensed and bonded company is hired and tasks are correctly repaired/installed. The property management team assists in conducting Estate Sales, sorting through personal property and cleaning out homes in prepartion for sale. Contact us in Melbourne, Florida, to ask what referral services and personal care support we can offer your elderly family members.